I am so excited about my new pillows from the farm chicks, that I went back to the store to get another one. I also walked out of there with a blanket as well with the same raspberry red color. 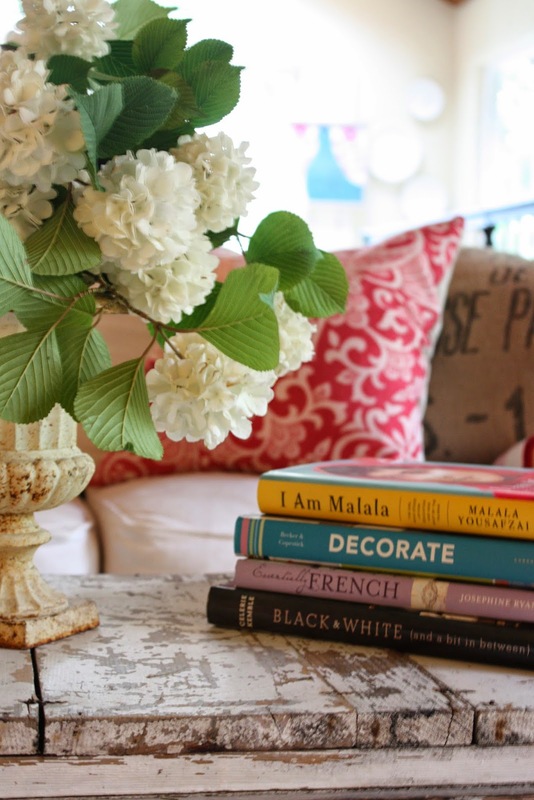 I also brought back my zebra rug and added some colorful books. I agree with "more photos please". 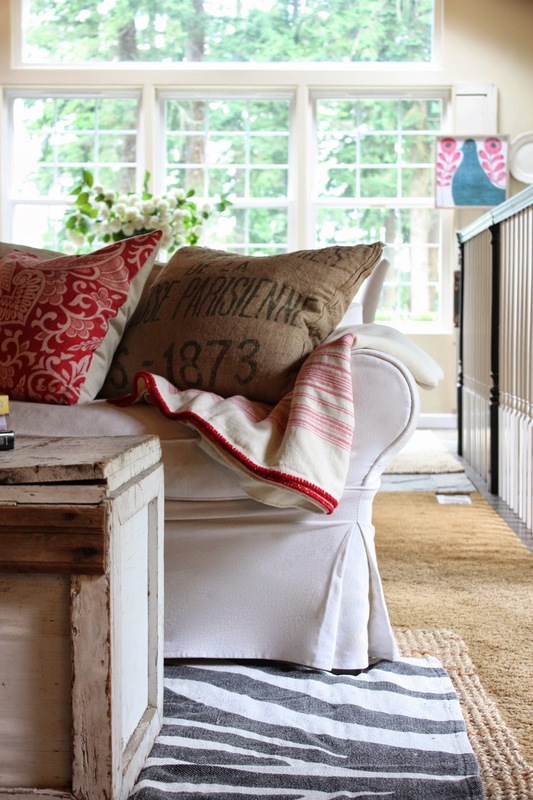 Love that big burlap pillow. I wish we could see the whole sofa and not just a corner! Love love this look! Have to agree-PLEASE make a living room post with more pics!!! I'd also like to know what store you found those pillows at. Thank you!